Creating fiber art through quilting allows Karen to stretch her artistic talents with all the possibilities of fabric while also enjoying the calming, meditative effects of stitching. "I love to capture moments in time—a flower at the height of its bloom or the split second when an animal is still." 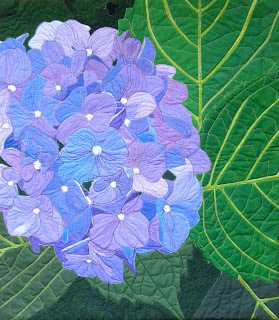 In 2001, she discovered art quilting. It was a hobby until 2013 when she decided to leave the advertising industry and become a full-time fiber artist and quilter. 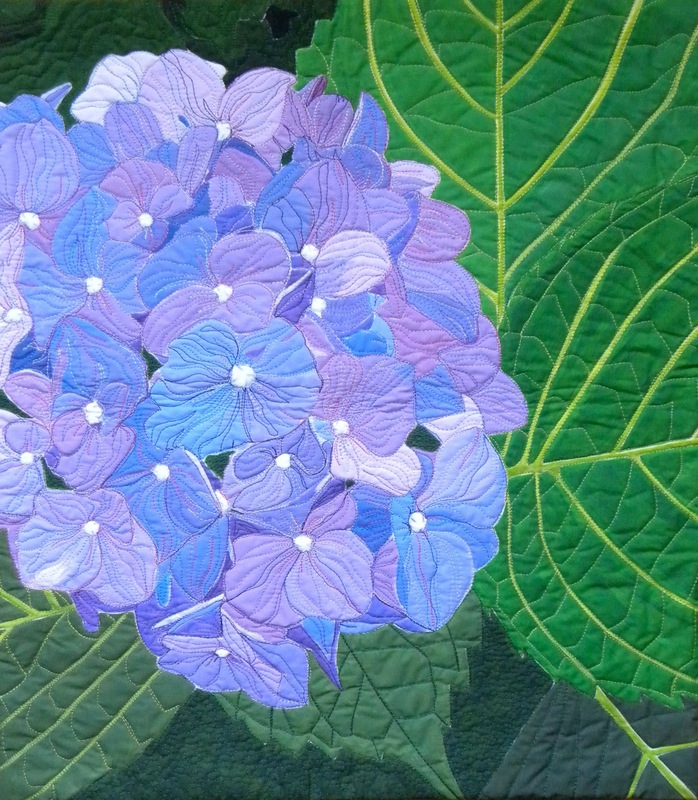 Karen creates quilts using wholecloth painting or raw edge appliqué. She then thread paints the quilt to bring it to life. 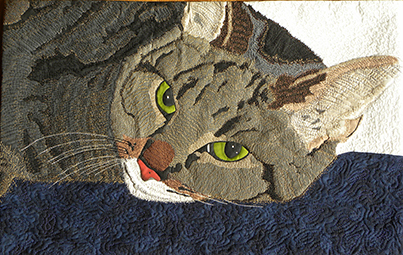 Her quilts have been juried into local and national quilt shows. She also enjoy lecturing and teaching her techniques to other sewing enthusiasts. Karen is a native Southerner who lives in North Carolina with her husband and three kitty cats. She love old movies, a glass of good wine, spending time in the mountains, and exploring new restaurants. 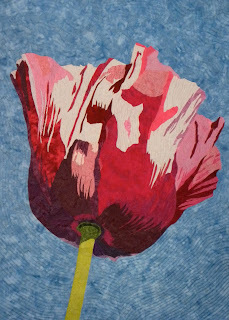 She also love spending as much time in her studio as possible creating quilts!